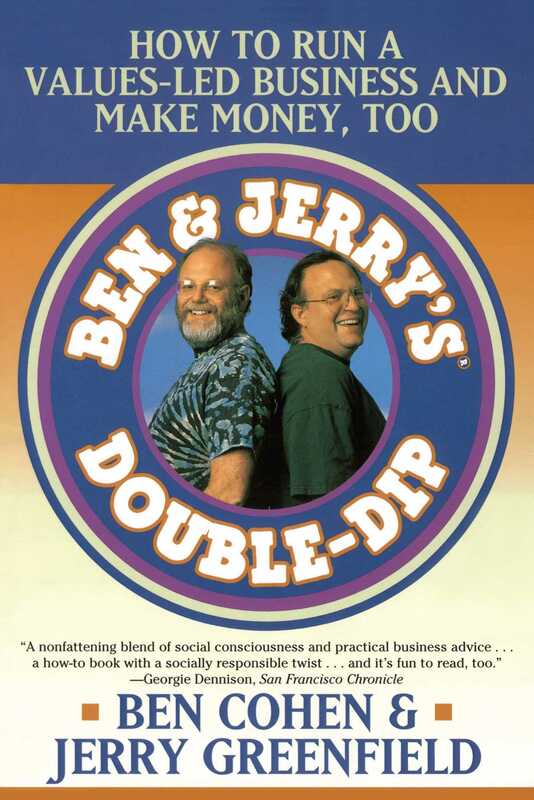 Ben & Jerry's Double-Dip is essential reading for anyone who owns, works for, invests in, or shops at a socially responsible business. Joel Makower author of Beyond the Bottom Line: Putting Social Responsibility to Work for Your Business and the World Ben and Jerry have dished up a healthy scoop of wisdom about the power of business to make change -- and make money. Double-Dip clearly and passionately shows that values-driven business is a powerful idea and not merely a flavor of the month. Business Times A very different kind of business book, Ben & Jerry's Double-Dip shows how a company can win the respect of its community, loyalty of its customers, and healthy profits, too, by addressing social concerns as well as the bottom line. Tom Chappell President and co-founder of Tom's of Maine Ben & Jerry have achieved what we all wish were possible in business -- one set of values, for home and at work. Hurray for them! Anita Roddick founder of The Body Shop I love Ben & Jerry because they are an inspiration to any business that recognizes a worldwide responsibility. They understand that decisions affect not just economics but people, too. Rosabeth Moss Kanter author of World Class: Thriving Locally in the Global Economy Double-Dip serves up a charming and wise insider account of how the ice cream kings built a premium brand and a role model, values-driven company. Leaders in businesses of all sizes will find abundant inspiration and dozens of practical suggestions for creating wealth and well-being.